When it comes to web marketing, an email newsletter is a very important tool. If your business isn’t sending out an email newsletter, then you’re missing out on a great opportunity to connect with both customers and prospective customers. 1. It complements your website. No matter how loyal your customer base may be, it is a fact that not everyone will remember to return to your website if unprompted. An email newsletter is an effective way of reaching your audience, keeping them updated about what’s new with your business, and reminding them to visit your site. There’s a slim chance that readers will check out your website when seeing your URL in a printed newsletter or article. An email newsletter ensures that your website and other documents and product pages are just a click away. 3. You can track its effectiveness. Several programs allow you to send out newsletters and track their effectiveness. You can see how many people have opened your newsletters, as well as see which links are being clicked. You might want to try email broadcasting tools such as MailChimp, ConstantContact and Aweber. 4. Your subscribers want to be contacted. People signing up to receive your email newsletter means that they want to know about your product. You can promote your latest offerings in your newsletter and be assured that these people really do want to know about them. 5. It brings viral opportunities. Emails are easy to share and forward to other people. If a few subscribers forward your newsletter to their friends, you’ll be able to market your services to people you wouldn’t have reached otherwise. Of course, it is unlikely that all of your newsletters will be going viral—but there’s always a chance that your subscribers will share with others. 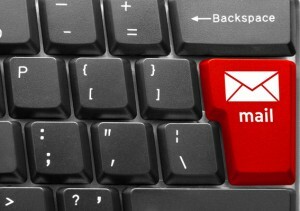 These are just five reasons you should have an email newsletter for your business. Remember: the sooner you start working on yours, the sooner you’ll be creating a better email relationship with your customers! Think about all the items that you make to sell online or at bazaars / craft fairs. Have you kept track of what the best sellers are? By knowing which items sell the best you can expand your market by making other similar items. For example, if you make stuffed toys, you might think about making the most popular ones in a variety of sizes and different fabrics. If you make and sell teenage type pillows, try adding some toddler pillows or additional “girly” type heart pillows. A variety of additional items added to your current selection can be a great money maker for you. As an additional example, we originally started selling a basic book on pattern making for women. Then a few years later, because of a granddaughter that was very overweight, our plus size children pattern making classes and patterns was started. 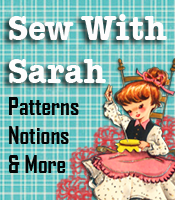 The addition and popularity of the plus size children pattern making classes and patterns led to questions from customers if we had anything like that for plus size / full figure women. TA DA! The next thing in line for us was exactly what the customers were asking for, which began a whole new area of pattern making classes, which we set up as BigBeautifulPeople. Listen to your customers talk when you’re at the craft fairs —- is there something specific that they’re looking for that you could add to your inventory? Expanding your market with additional products can add more than you think to your profit margin. Since you’re doing the craft fairs or Etsy selling, you’re already doing the motions of making items, so think “outside the box” and see what else you can add.